Amy Hansel, President of Northeast Indiana MTA (NIMTA) will be relocating to Wisconsin due to a job move for her husband. The IMTA Board of Directors is sad to see her go as she has been a wonderful asset to the board as well as to the members of NIMTA. Most recently, Amy oversaw a big revision in the Bylaws of her local group. As of March 1, Sara Davis, Vice President of the group, will step in to finish out the final two months of Hansel’s term. 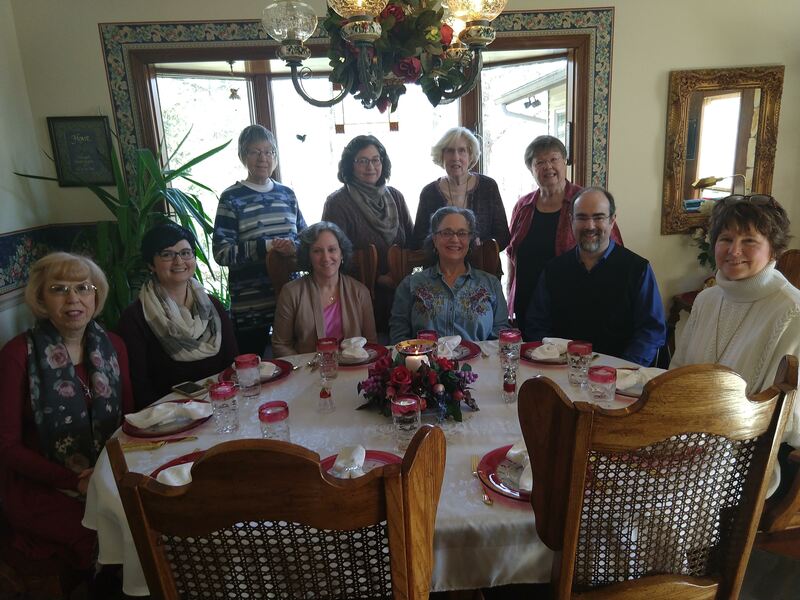 Several members of the group met this past Saturday for a farewell luncheon. Hansel is pictured on the far right of the photo. Copyright © 1995-2019 Indiana Music Teachers Association.